Ran across these small, compact line counter reels and thought that I'd give them a try. Here are some pics of the new reels. The size is nice. I can tell there is a slight quality difference in the feel vs. my Shimano Tekotas but these are a lot less expensive reels. We'll have to wait to get them Flaming Gorge Kokanee tested. Are those Lexas? I’ve seen them at Sportsman’s for around $129. What kind of deal did you get and where? Yes, they are Daiwa Lexa 100’s. TackleDirect and Amazon Prime are just a little less than that price you quoted. I’ve been debating between a Lexa and Cold Water low pro. The Lexa has a faster retrieve and a lower price tag. Think I’ll give the Lexa a try. The few reviews out there seem positive as well. The size of the Coldwater low profile is still a fairly heavy body reel, probably closer to a Lexa 300. The Lexa 100 is very small and compact. I was able to completely fill the spool with 200 yards of 10 lb. test mono. So Dave what are your thoughts on the Lexa 100, I hope it got some heavy use at the Gorge, lol. 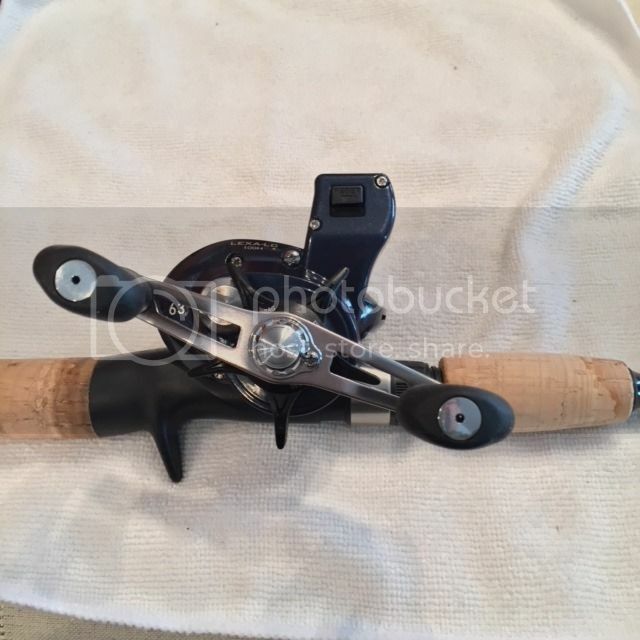 I am in the market for a new reel and exploring my options, I did hold one of these the other day, and they are a small reel..
A small body linecounter was what I was in the market for and these have really fit the bill. Paired with a 7.5' rod, the weight and balance is great. When I put them on my 8' rods, I thought that they were just a bit too small. They are smooth and did work great at the Gorge last summer. I would buy them again. Last edited by SuperD; 01-15-2019 at 09:43 AM. nice reels ,do they have clickers on them by any chance ? See side of reel in last picture. Last spring when SD highlighted this reel,I took a hard look at it. Then i decided to spent the money on one. 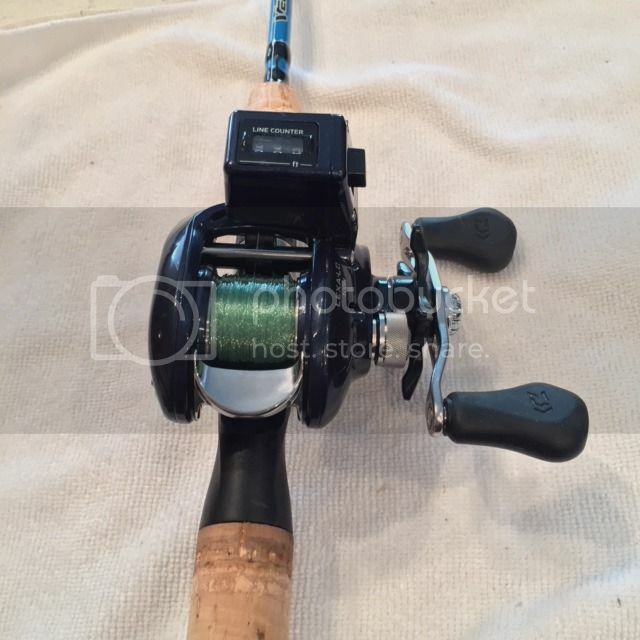 Here are the pros and cons for me on this reel. Pro: small body size,i usually fish with daiwa lc 17's and smaller size was a good fit. The drag is better on this reel,then on the 17's. 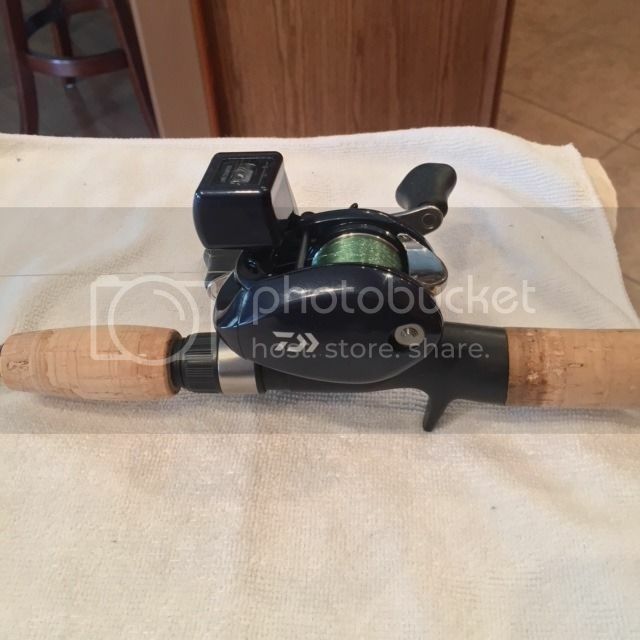 last year I caught a six pound brown and this reel had no trouble bring the fish to the boat.Even after the fish had made several runs before being boated. I think the line counter is more accurate then on the 17's. Cons: Price to start with,it's a expensive reel ,i hope the price will drop some time in the future. I didn't like having the line release button in the middle of the spool. Took me awhile to get used to this. A couple of times I mistakenly hit the release when grabbing the reel. Once causing a huge bird's nest. 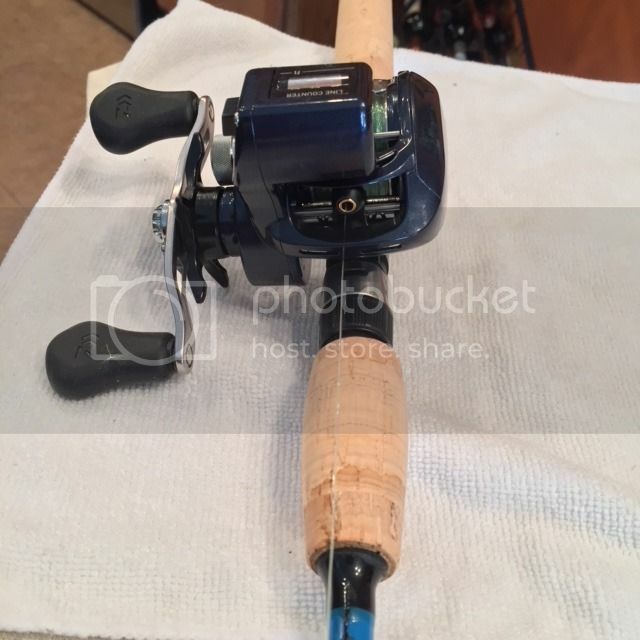 I will be purchasing another one in the near future This reel on a velocity rod makes for a great combo. "Chance Favors A Prepared Mind"
SuperD! did you know your handle is on the wrong side? I used a 100 for a few trips last fall and really like then. This my the first line counter. Yep, I keep trying to handicap myself so everything is in the fish's favor. Picked one up and threw it on the ninja, nice balance and feel like Dave said, just need this hardwater to disappear ..
Twanged, glad you like it. I’m with you on the hard water. I bought a shiny new SS prop and dying to try it out.